IoT connected devices are helping education institutions to manage and boost the education system and provide tailored solutions for students, educators, and administrators in the field. Software development for the education vertical is expanding into e-learning systems, offering numerous benefits including online education, parents' collaboration, better student assessment facility, paperless and simplified administration. Students who can utilize IoT connected devices for learning can receive instant feedback and communicate directly with educators in real time, and information transparency between administrators, educators, and students leads to better results. According to Getting Smart, "Local education agencies and vendors are realizing that data held hostage in one system or another is limiting educator's ability to best meet student needs... Schools and districts are already using the power of the Internet of Things (IoT) to keep track of people, assets and activities." Automated tasks are just one facet of an IoT educational system. Students can be reached via mobile devices such as tablets or even smartphones with apps designed to increase their attention and leverage the power of interactivity to reach educational goals. According to Capterra, 90% of students say tablets make learning more fun, and almost 70% of students want to be able to use their mobile devices more often in the classroom. Students use devices for note-taking schedule-making and research, which can all be made easier and transmitted with ease by implementing IoT capable devices. Inside and outside of the classroom. IoT provides an improved educational experience, supplementing classroom instructional time and enabling students to verify information easily and collaborate as groups remotely if required to complete projects and create presentations without the need for travel or in-person meetings. When both students and educators have IoT devices connected to the cloud, they can communicate readily, and accountability goes up. Teachers can identify which students require assistance, and which are managing their time well and turning in work on time. Educators can also communicate with each other, and substitutes can be looped in for lesson plans, adjusting schedules and more. When these tasks are streamlined or automated, educators can spend more time on the core job of teaching and less on administrative tasks and paperwork. 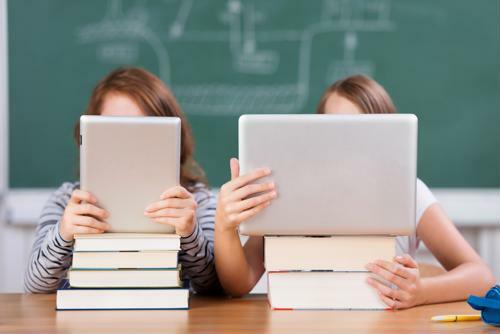 Many schools are now providing students and educators with tablets and laptops, enabling connected technology which can streamline homework collection, worksheet submission, test taking, and checking / grading of everything from homework to tests to reports or essays. IoT connectivity can facilitate equal access to education for all students." Many children who are adversely affected by traditional classroom techniques find that IoT connected devices are able to open doors and streamline their learning abilities. Children with communication challenges often respond extremely positively to tablet technology, and wearables in the classroom can provide instant alerts if a child needs help but cannot verbally describe their issue. According to Ed Tech Review, "Special needs students also have a lot to gain from this shift to technological means. For instance, students with impaired vision can be given special cards that are detected automatically and can inform connected devices to display text at a larger font. Through these advancements, the IoT can facilitate equal access to education for all students." With general student bodies and campuses becoming larger and more crowded by the year, parents want to know their children are safe and administrators are tasked with developing contingency plans for a myriad of potential emergencies. Timetables and bus schedules can be regulated via smart technology using GPS; student attendance tracked via RFID chips embedded in student ID cards, and parents can track their children on their way to and from school and on field trips with wearable tech. In times of crisis parent / teacher / admin / student communications can be facilitated with devices that are interconnected in and outside of the school. Sensors in schools can also be utilized to inform administration of doors and windows that are closed and / or locked and allow verification of staff presence to coordinate evacuation if needed. IoT and software development tools can significantly improve educational experiences, but it falls to school administrators, educators, parents, and students to come together and develop workable IoT driven plans that help harmonize all factors for a smoothly running institution. 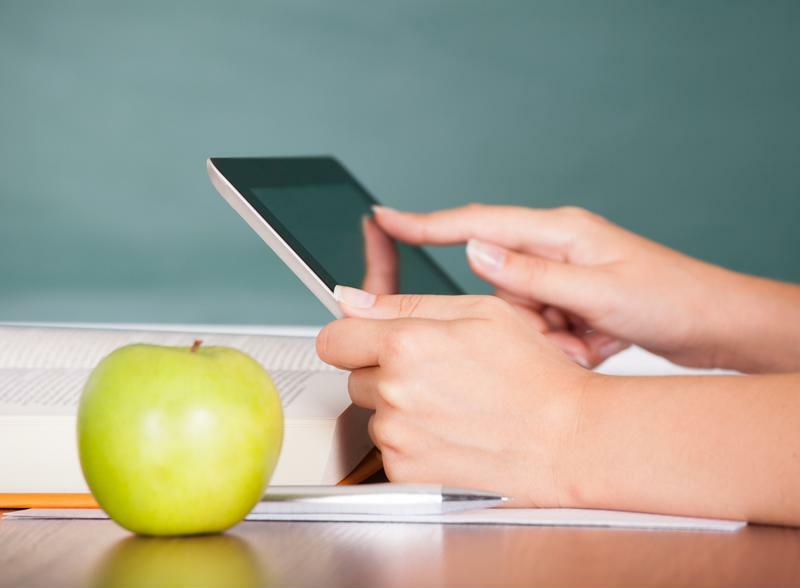 The future of education is connected at all levels and required devices, educational plans, and security parameters previously unknown to the industry. As more educational venues seek to effectively develop, incorporate, integrate, and implement IoT-optimized technology, Perle provides the hardware to enable the critical network infrastructure required to enable continual, accurate data streaming and monitoring. Connect with us today to learn more about how we can help your school step into the world of IoT devices and meet the challenge of providing superior education in a post-digital world.